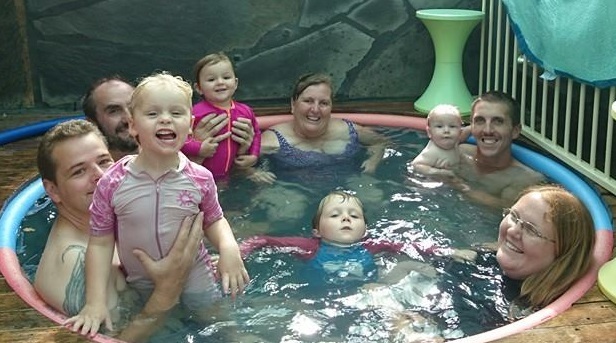 The usual advice from old hands at homeschooling is 'relax, relax, relax' - easy to say... 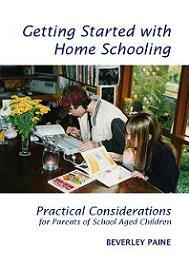 Most parents new to homeschooling need more specific advice. 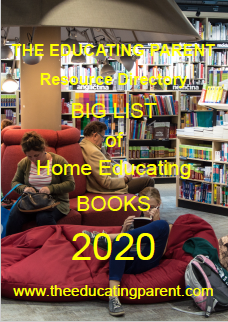 On this page I've collected together some of the best and most often repeated tips - 10 essential tips - to help families ease into homeschooling. It can take weeks, months and sometime a year or two to start to feel really comfortable and to get rid of that panicky "Oh no, what do I do now?" feeling. Trust yourselves to find the best way to do this. First, take a deep breath and let it out slowly. Maybe two or three would be best. You'll be fine. Parents everywhere are educating their children at home with outstanding results. They don't possess any special insight, skills or knowledge. They simply trust themselves and their children to work out a method for becoming educated while still having a life, and you can do it too! Focus on the immediate future - keep your horizons limited at first. Deal only with the challenges that are truly relevant now . If you have a 5 year old there isn't any point in stressing out about how you'll cover calculus. You have years and years to find resources, information, tutors, etc. Don't try to plan too far ahead when you are first starting out. 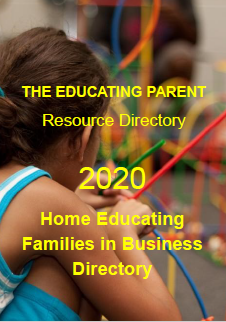 As you research homeschooling styles and available resources, take the time to digest what you discover. Figure out what fits comfortably into your family's life. Organise your home and structure your day to facilitate learning opportunities. A small investment here will have huge pay-offs. Children are much more likely to embark on their own projects if they have a space to work and easy access to materials. There are as many ways to homeschool as there are families doing it. Refer back to tip number one! R ead and listen, read and listen, read and listen! When you've done that you'll begin to get an idea of what you don't know, and you can then begin to ask questions. Find others who homeschool and ask them how they do it. Ask to "hang out" with them for a few days. 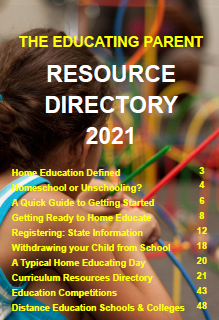 Read some of the materials published about homeschooling, many of which can be found in the public library. Remember that some of the material will contradict what other states as fact. Before you charge off buying workbooks and an expensive curriculum, take some time choosing a homeschooling method. 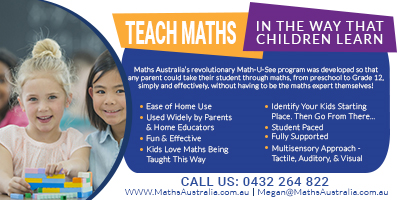 You will need to consider your children's individual learning styles - how do they learn best, under what conditions, do they learn differently from each other or from you? These are vital questions that can be answered by observation and by finding out more about learning styles. Evaluate the various approaches to education. There are as many ways to homeschool as there are homeschooling families. Some families prefer a more structured approach, using a formal curriculum or thematic unit studies, while other families allow their children to direct their own education. Most families fall somewhere in between on the spectrum of possible choices. Don't be afraid to change if the course you've chosen doesn't seem to be working well. Develop a budget - there isn't any need to spend too much money to start with. Judicious use of the library and internet can provide most of the materials that you will need. Talk to others and carefully examine curriculum materials before buying them... funds may be better spent on memberships to science museums than on a set of text books. A plan that makes everyone stressed out or miserable is not a good plan. Be flexible and listen to each other! D iscuss your ideas with your children and come up with a consensus for how you will begin. Plan for a "trial period" during which everyone will agree to cooperate to their best ability. Agree to regularly evaluate how it's going and then decide if you need to make any major changes. It may take several "starts" before you discover your family style. Make a relaxed transition - remember to breathe. Take time for yourself. Don't be afraid to take a day off, or even a short vacation after the first few weeks. 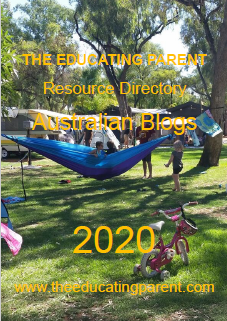 Children who have been in school often need a lengthy deschooling period before they are ready to work with the different rhythm of homeschooling. The longer children have been in school, the longer the transition to self-motivated learning takes. R emember that if your children have previously been in a government or private school, homeschooling can be scary. They will most likely need some "down" time in order to adjust. You know your children best and can gauge when or if that time is needed. Many children are exhausted and unused to helping decide their daily activities, and will experience some kind of related stress as a result of the transition to homeschooling. Giving and receiving support, for children and adults, can make the difference between struggling and soaring! Consider joining a support group. Each group has a different "flavour" or focus. Some have criteria you must meet, but others welcome anyone who cares to join. Some meet for study, some for social events, some for field trips, and some for a combination of activities. 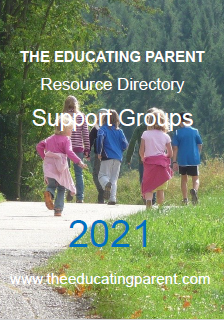 You will find parents with whom you can share valuable information and support. Your children will find friends and activities to enhance their social, intellectual, and physical lives. They will interact with children and adults of all ages, and that is the very best atmosphere for learning how to become a social being! Tap into the resources of your local community. Unlike a decade or so ago, there is no need for any family to homeschool in isolation.